Traditional Sodas are just not healthy for us. We all know that soda is just full of empty calories usually thanks to high fructose corn syrup. That’s reason enough to stop. Why bother drinking soda when you could have juice which is actually beneficial to your body, or good old water? Then there’s the acidity of soda. 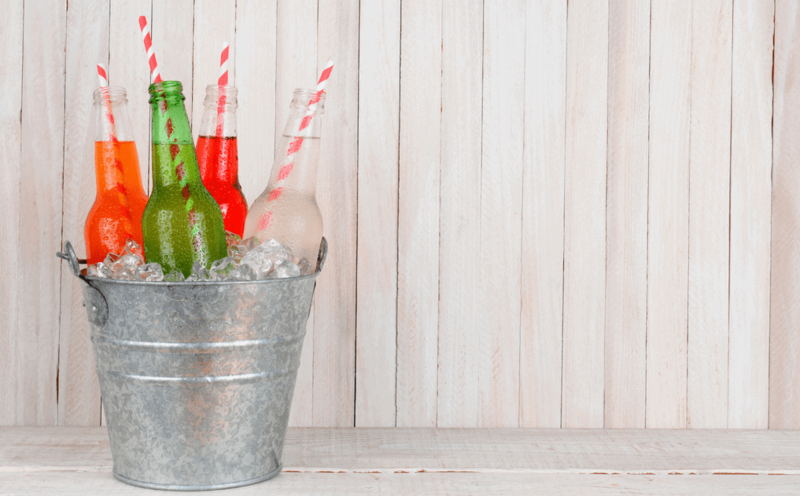 Did you know that soda has the same acidic level as vinegar? It can remove rust! Remind me why we put that into our stomachs? If you think like me then you switch to diet sodas, at least that way you don’t have empty calories or any calories for that matter. Not so fast! Diet soda has no calories because they replace sugar with aspartame. Aspartame that wonderful calorie free substance that was supposed to be the answer to our beloved sugar. Companies wouldn’t put it into drinks if it was harmful, right? WRONG! Aspartame is made up of phenylalanine, aspartic acid, and methanol. 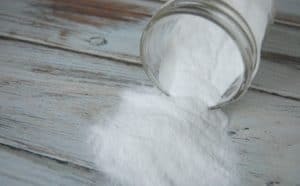 Once you drink aspartame it breaks back up into these three substances and then it further breaks up into: formaldehyde and formic acid. Both formaldehyde and formic acid are carcinogens. Well that removes diet soda from my drinking list! Did you know that soda cans have a lining? It makes sense, it’s an aluminum can and you don’t want to use aluminum on its own. I, honestly, had never thought about it. Until I began reading about BPA in canned food. You know what else BPA is in? Yep, soda cans. Just what is BPA? Bisphenol-A is a chemical that is used in plastics and in epoxy resins. BPA has been linked to many different problems including: birth defects of the male and female reproductive systems, cancer, miscarriages, obesity, early puberty and Type II diabetes. Most mom’s will remember when BPA was the big thing concerning baby bottles. Walk down any baby aisle now and you will see large labels saying that their product is BPA Free. There’s a reason why and now that parents have become aware of what BPA is doing they have caused baby companies to remove BPA from their products. However, it’s not just toxic to babies. Babies are more susceptible to chemicals due to them being much smaller in size than adults but we, adults can still suffer from BPA. This was what caused me to finally stop drinking soda (and stop buying canned goods). If I can lower my risk of getting cancer, or decreases the odds of messing up my child’s reproductive system then I will give up drinking soda. I gave up soda a few years ago although I will confess that when I get pregnant, I crave soda, so I do slip up. It’s a tough habit to break! Thankfully there are alternatives to the nasty sodas that are much healthier. Now I found hundreds of brands of natural sodas. Some great, some not all that natural in my opinion. I picked the best of the best. 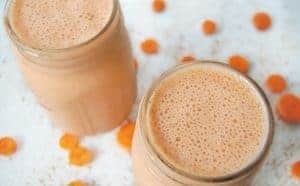 I will say that I don’t know if a soda could ever be truly healthy but this post wasn’t to find healthy sodas; it was to find natural sodas to give you alternatives to the nasty stuff. The best of the best list means that all the sodas are packaged in glass (not cans or plastic) and have no weird ingredients. 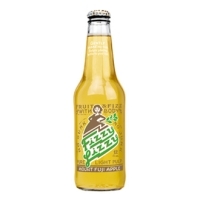 Fizzy Lizzy – A natural soda with an average of 60% juice per bottle and no added sugars. Comes in seven flavors such as Pineapple, Grapefruit Fuji Apple, and Tangerine Passionfruit. 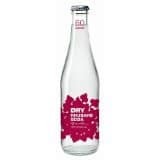 Ingredients: Triple-filtered carbonated water, juice concentrates, elderberry color, vitamin C.
Izze – This soda describes itself as 70% fruit juice with a splash of sparkling water. Comes in eight flavors ranging from lime to pomegranate. Izze Esque – From the makers of Izze comes Izze Esque. Izze Esque is the low calorie version of the original. However, instead of being full of artificial sweeteners like most low calorie drinks, Izze Esque has less calories simply because there is less juice. That’s it. Comes in four flavors. 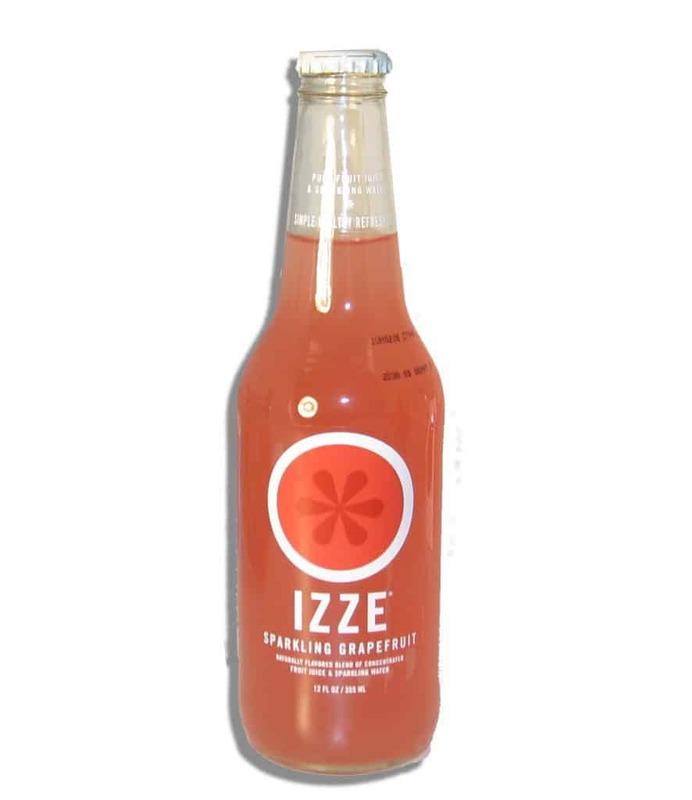 Izze Sparkling Natural Soda – For those wanting something closer to the traditional colas, Izze has put out a sparkling birch soda and a sparkling ginger soda. Ingredients: sparkling water, sugar, natural flavors, natural extracts, citric acid, birch or ginger oil. Hot Lips – This soda is focused on being local and working with the local farmers. 100% grown and produced in the Pacific Northwest, this all natural soda is made in small batches to ensure quality is produced over quantity. However, this soda seems to be a bit harder to find. Comes in eight flavors such as: Marionberry, Cherry, and Pear. Ingredients: Fruit (depends on flavor), cane sugar, organic lemon juice, and water. Fresh Ginger Ginger Ale by Bruce Cost – This company specializes in just ginger ales. 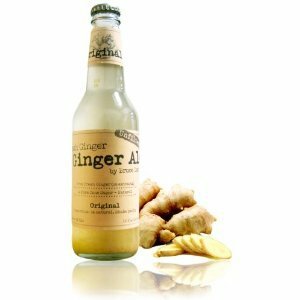 These ginger ales are made with fresh ginger not extracts or oils. Comes in four flavors: original, jasmine tea, pomegranate with hibiscus and passion fruit with yellow ginger. Ingredients: carbonated water, pure cane sugar, 100% fresh ginger, and citric acid. 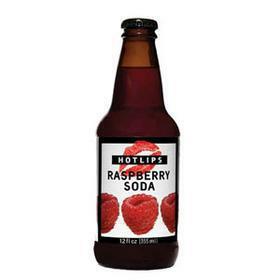 Dry Soda – The first time I tried this soda a few years back, I did not like it. It’s not sweet and it’d be hard to say it’s just like sodas. However, a few years of natural living has made me grow to like Dry Soda. 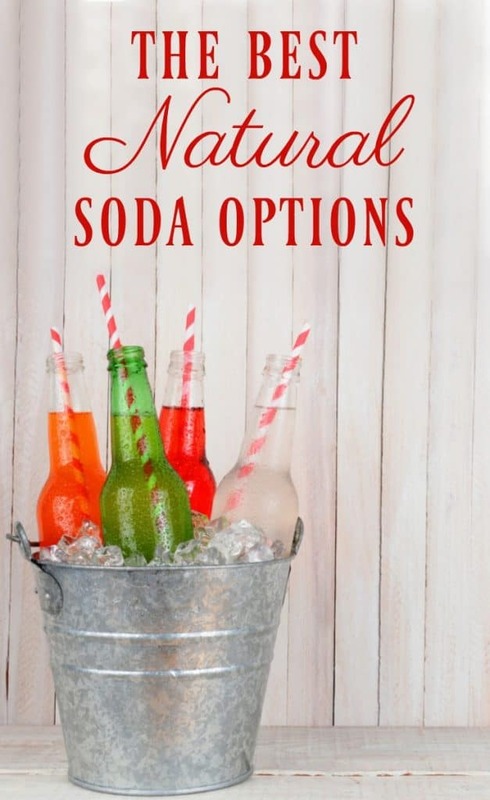 Dry Soda comes in some unique flavors such as Juniper Berry, Lavender, and Rhubarb but they also offer some more regular ones like Vanilla and Wild Lime. Ingredients: purified carbonated water, cane sugar, natural extract, phosphoric acid Note: phosphoric acid has been shown to essentially rob the body of calcium and thus is bad for teeth and bones. There were a few other natural brands out there but I had concerns about them. 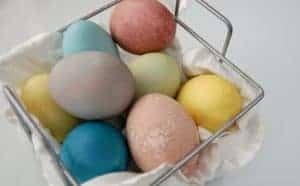 Many were in cans which I do not like because of the BPA in them and some contained sweeteners such as Erythritol or agave both of which I am not a fan of. Can you tell me why you don’t like agave? I always enjoy reading your posts and this is great. We were never heavy soda drinkers anyway, just an occasional one with homemade pizza or chinese. I recently discovered Live brand kombucha. I guess technically it’s not soda. But its in glass and sweetened with stevia. Their pure dr. Is like dr. Pepper, and their ginger and root beer are great too!